Florida state Sen. Aaron Bean introduces his bill in Tallahassee last month to ban immigrant "sanctuary cities" and compel state and local governments to help enforce federal immigratin law. A federal judge in Hawaii blocked President Trump’s retooled travel ban Wednesday night just hours before it was due to take effect. That leaves our Muslim Basher-in-Chief 0 for 2 in his dubious crusade to keep folks from a half dozen predominantly Islamic countries out of the U.S.
Then there’s our Mexican Basher-in-Chief’s delusional dream to build a 2,000-mile-long, $20 billion-plus wall along our southern border to keep out “bad hombres.” It’s an absurd project even congressional Republicans find absurd – especially since a new study suggests two-thirds of the undocumented immigrants in this country didn’t swim the Rio Grande but instead took commercial flights to get here and then overstayed their visas. The bottom line is that most of Trump’s anti-immigration efforts – despite the fact that they signal a scary nativist drift – look destined to become so much theatrical nonsense. Still, what’s left when the xenophobic smoke clears might – might – end up being one of the biggest ironies of Trump’s presidency as well as an elusive legacy for any president: immigration reform. If there is one issue where the Trump era might see a Nixon-in-China moment, this is it. 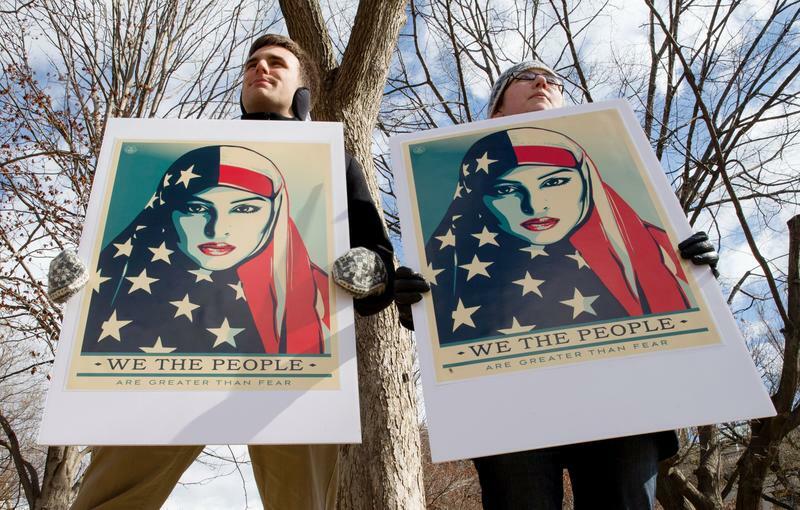 The hope is that the quixotic Muslim travel ban and Mexican wall noise are, as the Trump textbook would say, just opening salvos in a more long-term negotiation. In it, conservatives would be more amenable to reform because they’d feel, with Trump at the helm, they have more leverage over crafting it. Because Florida depends so much on undocumented labor, you'd think its state lawmakers would be engaged in the same adult discussions on immigration we're beginning to hear from Congress. But you'd be forgetting this is Florida. First, increase border muscle – e.g., the 15,000 new immigration enforcement agents Trump wants – but at the same time legalize the status of undocumented immigrants brought here as children (the so-called Dreamers). Second, legalize undocumented migrant workers in agriculture and tourism – but at the same time make it a federal requirement that their employers use the E-Verify system to ensure new hires are legal. Third, eventually legalize other undocumented immigrants who’ll be vetted and pay fines – but at the same time put U.S. immigration emphasis on skilled workers instead of seasonal labor. Graham's’s plan isn’t the only sign of mature immigration thinking emerging on Capitol Hill as the juvenile White House outbursts run their course. Other Republicans are introducing bills to reform the important H-2A visa program for migrant workers in agriculture. They would streamline the H-2A process, which is so bureaucratically onerous U.S. growers can’t fill their labor needs in timely fashion. Hence the continued need to hire undocumented workers. That’s especially true in agriculture-dependent economies like Florida’s, where most fruit and vegetable pickers are undocumented – even though the state’s growers are among the biggest H-2A users. Which brings us to the anti-immigration bacchanal we’re watching right now in Tallahassee. Because Florida depends so much on undocumented labor to get its produce harvested and its hotel beds changed, you’d think its state lawmakers would be engaged in the same adult discussions on immigration we’re beginning to hear from Congress. But you’d be forgetting this is Florida, where the legislature has become a right-wing bounce house on every issue from guns to abortion to immigration. Especially immigration. This year there are at least eight bills coursing through the state House and Senate – cheered on by Governor Rick Scott – that have little public security purpose other than to parrot Trump’s demonization of immigrants. Like SB 120 and HB 83, which would increase charges and sentences for undocumented immigrants who commit violent crimes – for no other reason than they’re undocumented immigrants. Aside from being patently unconstitutional, the measures would be an egregious waste of time and taxpayer money. So would SB 786 and HB 697, requiring “state and local governmental agencies to comply with and support enforcement of federal immigration law.” Neither measure stands a snowball’s chance in Key West of surviving court scrutiny, since both violate the 10th Amendment rule against forcing state and local officials to carry water for the feds. No matter. Florida’s GOP legislators aren’t interested in emulating Congress. Right now, the White House is the bounce house to follow. 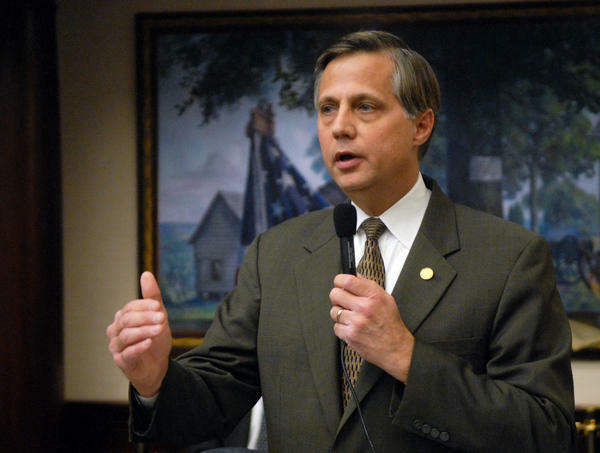 Legislation banning sanctuary city policies is moving through Florida House committees. The proposal requires cities fully cooperate with federal immigration officers or face penalties. Protests continued on Tuesday against Miami-Dade Mayor Carlos Gimenez’s decision to bow to President Trump’s demands on immigration detentions.